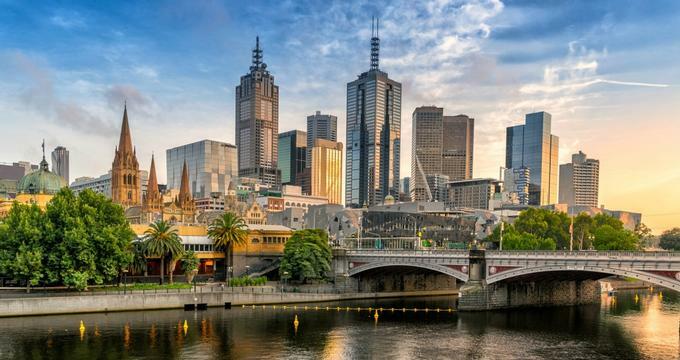 Melbourne is often voted as the best city in the world to live, so it’s no surprise that it is high on the list of destinations for visitors. As it lies in the Southern Hemisphere, winter falls between the months of June and August. Because it lies even further south than Sydney, Melbourne can be quite cold in the winter. Still, many people visit Melbourne during the winter months as there are fewer crowds and room rates are much lower. The peak season is between December and February. 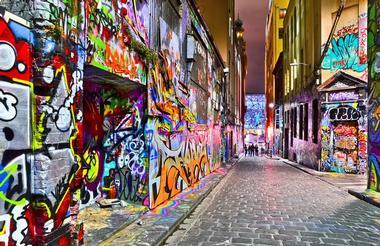 The best times to visit Melbourne are between March and May and between September and November. Melbourne Weather by January: It’s a gorgeous and sunny start to the year in January with the daily sunshine average at its highest annually at 11 hours per day. Meanwhile, it’s also the hottest month of the year with the average high temperature and the average low temperature at 79°F (26°C) and 59°F (15°C) respectively. February is a fantastic month to travel to the nearby beaches of Melbourne as the sea temperatures are the best for swimming at 64°F (18°C). Meanwhile, the low temperature average sees a small increase to 61°F (16°C). The high temperature average remains the same at 79°F (26°C). In March, the average high temperature takes a small dive to 75°F (24°C) along with the average low temperature which decreases to 57°F (14°C). Melbourne Weather in April: Light rain showers can be expected in April with an average precipitation rate of 53 mm. The high temperature decreases to 70°F (21°C) while the low temperature average goes down a few degrees to 54°F (12°C). May has the highest precipitation rate for the year at 68 mm. Temperatures decrease significantly to 63°F (17°C) for the average high temperature and 50°F (10°C) for the average low temperature. In June, precipitation levels are, in direct contrast, at their lowest for the year at 43 mm. With winter’s arrival, the average high temperature decreases to 57°F (14°C). The low temperature is at 45°F (7°C). Melbourne Weather in July: The coldest month for the year is July with the average high and average low temperatures at 57°F (14°C) and 43°F (6°C) respectively. August remains quite chilly despite temperatures increasing by a few degrees. The high temperature average rises to 59°F (15°C) while the low temperature average increases to 45°F (7°C). In September, spring arrives in Melbourne, bringing with it rainfall of 53 mm. The average high temperature is relatively mild at 63°F (17°C) while the average low temperature remains chilly at 48°F (9°C). Melbourne Weather in October: With a daily sunshine average of 8 hours, October sees beautiful sunny days alongside warmer temperatures of 68°F (20°C) for the high temperature average. Meanwhile, the low temperature average also increases to 50°F (10°C). November sees both the average high and average low temperatures increasing to 72°F (22°C) and 54°F (12°C) respectively. Rainfall averages also increase slightly to 57 mm. In December, days are longer in Melbourne with a daily sunshine average of 10 hours. These days are matched by a warmer average high temperature of 75°F (24°C). Similarly, the average low temperature increases a few degrees to 57°F (14°C). 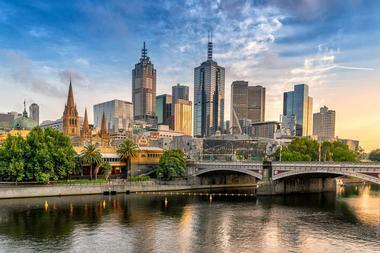 There’s no arguing that Melbourne is one of Australia’s most gorgeous cities. For travelers who want to see the best of Melbourne’s gold-topped trees and gorgeous fall foliage, the best time to visit is from March through May when the changing of colors takes place. Those keen on hitting Mt. Victoria’s slopes should plan their visit between the winter months of June and August. Melbourne has its own fair share of gorgeous gardens and eye catching flowers. To catch the best of Melbourne’s plant life, visit any time from September through November. There are several ways to get from the Melbourne Airport into the center of the city. There are six car rental agencies with information desks located on the ground floor of the airport. Several public buses stop at the airport and take passengers to various locations throughout Melbourne: buses 478, 479, 482, and 901 all leave from terminal 1. Another public transportation option is the Skybus Express Bus Service. It travels between the airport and Melbourne running every 10 minutes: it operates 24 hours a day, seven days a week. Taxis line up at designated taxi ranks and are a convenient way to get into the city. Melbourne has several conveniently located visitor information centers. At these centers friendly professional staff members help visitors with questions such as what to see and do, where to stay, where to eat, where to shop, and the best ways to get around the city. They offer an orientation tour with the Melbourne Greet Service. There are also City Ambassadors who wear red jackets and who walk around the city answering visitors’ questions. Visitor information centers include the Melbourne Visitor Centre on Swanston Street, the Melbourne Visitor Booth on Bourke Street, and the Fitzroy Gardens Visitor Centre conveniently located at the popular Fitzroy Gardens. 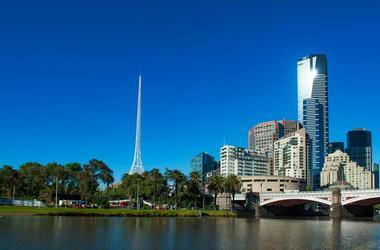 Melbourne is easy to visit because there are several ways to get around to see the many attractions. It has a great public transportation system and many visitors start by buying a myki card: this is a plastic smart card that can be topped up and reused. Melbourne’s trains run from Flinders Street Station in the city to the outer suburbs. Within the central business district there are five stations that make up Melbourne’s underground system called the city loop. Trams are a fun way to get around the city: the route number is shown on the front of the tram. Melbourne also has an extensive bus system. Melbourne’s central business district can be explored on foot: many of the city’s attractions are within walking distance of each other. However, you’ll need to use another form of transportation if you are interested in exploring other neighborhoods outside of the center of the city. There are many taxis in Melbourne. They are yellow and you can easily hail one on the street. The other good news is that they are affordable. Driving a car in Melbourne is not one of the best travel options. Because of the many trams and people hopping on and off of the trams on the street, driving can be very challenging. Melbourne is home to a very eclectic dining scene with many restaurants, bistros, bars, cafes, and other kinds of eateries. Here you can find traditional local food as well as restaurants serving ethnic cuisine: these reflect Melbourne’s cultural diversity. Some of the ethnic cuisines that you can find in Melbourne include Chinese, French, Italian, Lebanese, Thai, Vietnamese, and many more. There are world-class fine dining restaurants where young chefs present their ever-changing creations. Small bars tucked away serve local brews and wines along with tapas. 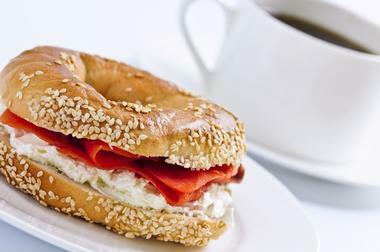 If you are looking for inexpensive food there are many small affordable eateries sprinkled throughout the city. 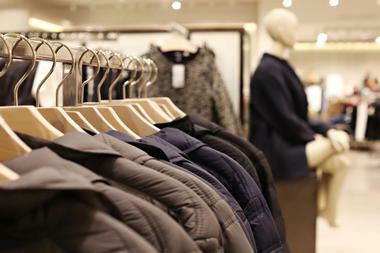 Many people think of Melbourne as the shopping capital of the country. There are amazing city arcades such as the Block Arcade located between Collins and Little Collins Streets. Here you will enjoy browsing the 30 shops that include the historic Hopetoun Tea Rooms. The Royal Arcade is also fun to explore. The area around Swanston Street is known for its courts and lanes filled with a variety of shops. There are department stores such as David Jones and high-end boutiques that are located on Collins Street between the Grand Hyatt and the Hotel Sofitel. The Melbourne Central Shopping Complex is a huge building between Latrobe and Lonsdale Streets. Melbourne is one of the biggest cities in the world by area: this means that it is somewhat of a sprawling city with many neighborhoods. The City Center is the area that most tourists will want to visit because so many of Melbourne’s attractions are located here. Flinders Street Station is the gateway to the city and a well-known landmark. Chinatown is also located in this district. A visit to St. Kilda is often on visitors’ bucket lists. It is a bayside suburb where The Esplanade lies along the beach: there is also a historic pier. 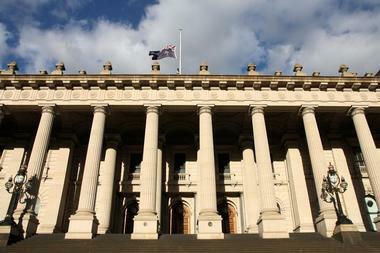 Other districts include Carlton, Fitzroy, Richmond, and others. Foreigners can get married in Australia and it is relatively easy to go through the process. You need to complete and file a Notice of Intention to Marry; you can then choose a religious ceremony with an authorized minister or a registered civil celebrant. 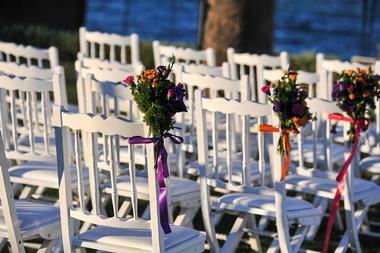 Melbourne offers many unforgettable wedding venues. ZINC at Federation Square is a modern and stylish wedding venue that overlooks the Yarra River and the city’s skyline. It also has a great outdoor deck. Port Melbourne Yacht Club is a good venue if you like bay views. White Night Receptions is a renovated building in the style of a grand European palace. Melbourne is a large city so it offers a wide variety of accommodations from simple guest houses to elegant five star hotels. Some of the best luxury properties include Art Series - The Blackman, the Crown Metropol, Crown Towers, the Grand Hyatt Melbourne, the Hilton Melbourne South Wharf, and many more. For travelers looking for inexpensive accommodations, Melbourne has many backpacker hostels, bed and breakfasts, camping parks, guest houses, home stays, and motels. Some of the less expensive choices are the Kensington Bed and Breakfast, the Deanswood Self Contained Accommodation, Nomads Melbourne and Nomads St. Kilda Beach, and many other choices.